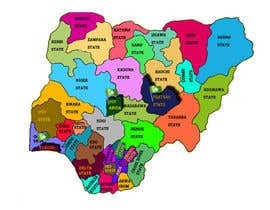 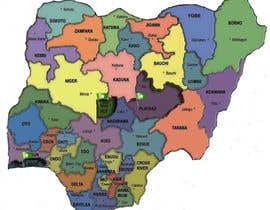 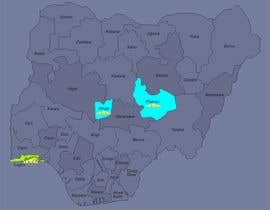 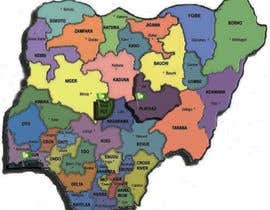 I need some help illustrating the map of Nigeria to be used as part of a logo, website and social media promo. 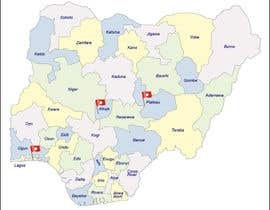 Our company is expanding into parts of Africa (Nigeria). 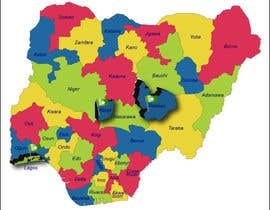 We are focusing on three locations at the moment, we would like some of the states to be populated with a little Rising Stars flag / star to represent the locations we are delivering works in. 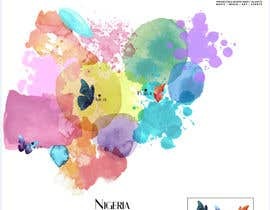 Do you want your logo to contain your Rising stars logo? 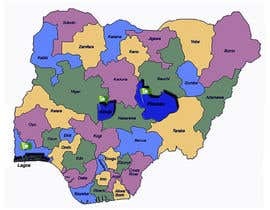 1. what are the names of the three states you wish to be populated with the flags.